One of the criticisms of the digital book market is that it puts pressure on authors to constantly churn out new material: that on top of the ‘book a year’ demands of mainstream publishers, authors are now expected to put out digital-only short stories to keep their profile high and, of course, bring in extra income. (Although these are generally priced very low, for writers as popular as Tess Gerritsen and Lee Child – both of whom have successfully embraced this model – a lot of 99p sales soon add up). Short stories are now often used as ‘promos’ for new novels, either priced low or given away free in the weeks before a novel is published. My reaction to this trend – both as a fan and a writer – is a positive one, and I must admit my sympathy for those professional writers complaining about this is, well, zero. For a start, it’s not exactly new: most novelists will regularly produce content for magazines and anthologies (just look at the recent Terry Pratchett book, A Blink of the Screen, a collection of his writings that brings together pieces from a surprisingly diverse range of sources). While some writers eventually have enough of this material to be compiled into standalone publications (Kelley Armstrong and Jim Butcher being good examples of this), often this isn’t the case, and fans either have to shell out for the anthologies or simply miss out. Digital has changed all that. Now stories can be released as standalone pieces, or old stories that would have been buried in the archives of long-defunct magazines and publishers are now getting new life as digital-only releases. I was recently delighted when I discovered that the Lawrence Block’s ‘Burglar’ series – which the author stopped writing years ago – had a whole series of related short stories, now all available for less than a quid. So I decided to embrace this trend myself. The sequel to my novel Dark Dates won’t be out till spring, but I wanted to get something out before Christmas, and when I had an idea for a short story (and, if I say so myself, an enormously fun idea), I decided this was the perfect chance to try this model and see if it worked. While it’s far too early to know if this will boost sales in any way, initial reaction has been great, and it’s also an excuse to reconnect with bloggers with whom I have slowly started to build relationships over the past year. Plus I get another book with my name on it on Amazon. What’s not to like? 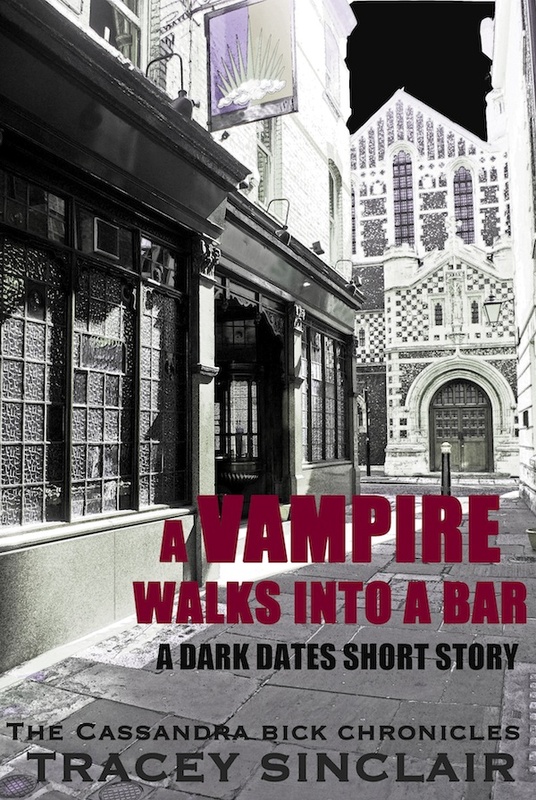 You can buy my new short story, A Vampire Walks Into A Bar, here.